History of Ancestors and Gardens. The practice of having a garden, whether those with flowers or those as a source of food, has been a very long-time custom and practice for people years ago and still today. 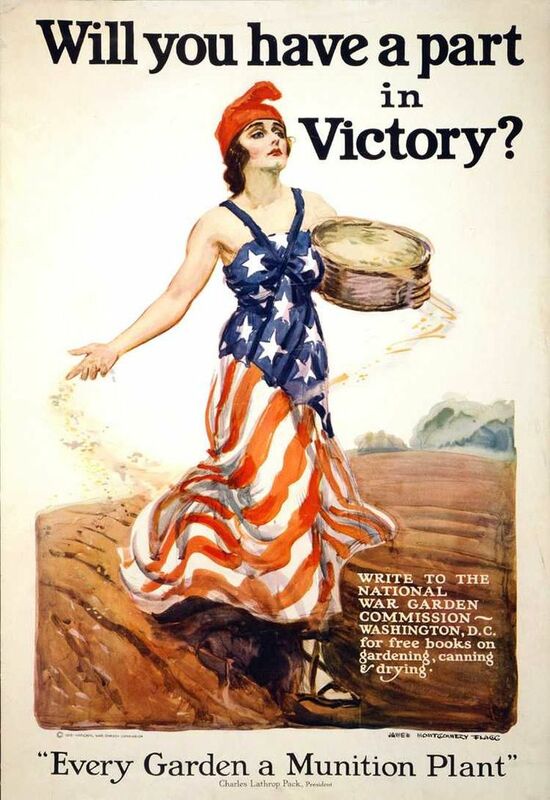 So the first week of June is recognized as National Gardening Week. National Gardening Week is a wonderful, week-long event. It is both a celebration, and an educational opportunity. National Gardening Week celebrates one of America’s most popular hobbies. Tens of millions of Americans, young and old alike, grow a garden of some size. This week is a great opportunity to get out into your garden and tend to it, along with enjoying your garden’s peacefulness and beauty. Regardless of whether your garden is big or small, show it off to family and gardening friends. National Gardening Week is also a great time to promote this hobby, and offer educational programs to the general public Garden clubs, 4H groups, schools, and even business can get into the act, providing some form of educational programs, demonstrations, or seminars. 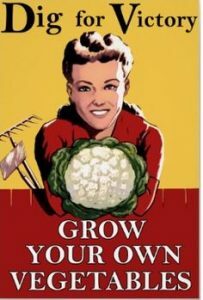 As individuals, gardeners can encourage others to start gardening. Learning how important a garden was to your ancestors, for whatever purpose, can be quite fascinating. 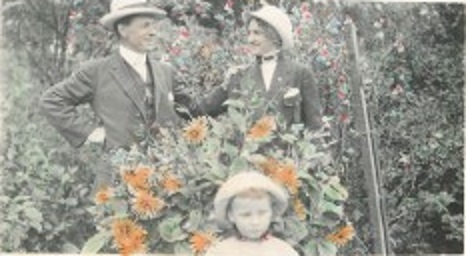 Look back over any family photos, see if there was a garden shown. Is there an image of a relative holding a stack of freshly cut flowers? Review family journals and diaries, who they write of their garden? 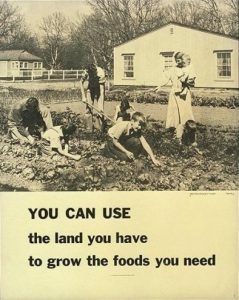 Those who owned a farm, surely had a vegetable garden to help feed the family. 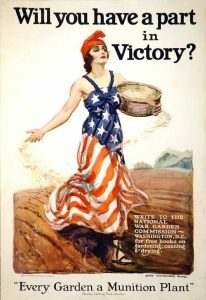 There were during certain historical events, such as World War II (1940s), when a ‘Victory Garden’ was done by many people to help provide more food during time of war. 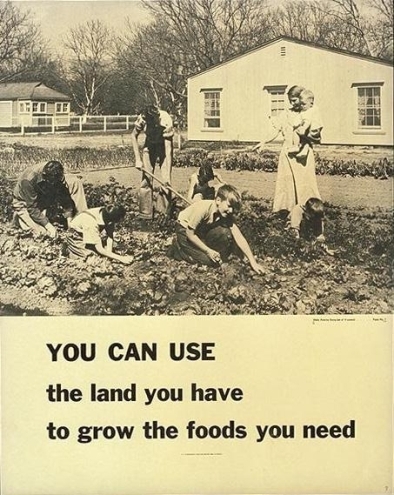 Gardening is something that really hasn’t changed that much over the decades. Maybe the use of certain seeds, watering methods, etc, but the basic growing of flowers, plants or food remains the same. It is something you can share that your ancestors also did. Photos: 1910 flower garden photo; Victory Gardens WW One; Family Gardens in the 1930s into 1940s; and Victory Gardens WW Two.